Recently the Indian car market is flooded with plenty of performance oriented cars priced extremely aggressively, so that you don’t have to spend your hard earned money behind expensive machines to get the thrill that you will not find in regular cars. The auto industry is vastly growing in terms of not just the quality of products being offered but also performance as per recent scenario. Below provided is the list of 5 performance oriented cars in India which you can buy under Rs. 10 lakh in India. Tata Motors recently introduced the performance-oriented variant of their popular Tiago hatchback called the Tiago JTP. This hatch surely won many hearts because it is powered by a 1.2-litre turbocharged Revotron petrol engine which is capable of producing about 112 bhp of peak power and 150 Nm of peak torque. The engine is paired with a 5-speed manual gearbox which has been optimized for better acceleration and outstanding performance. The hatchback is also equipped with two multi-drive modes including Sport and City. The suspension setup of the car has also been tuned to provide better ride and control. 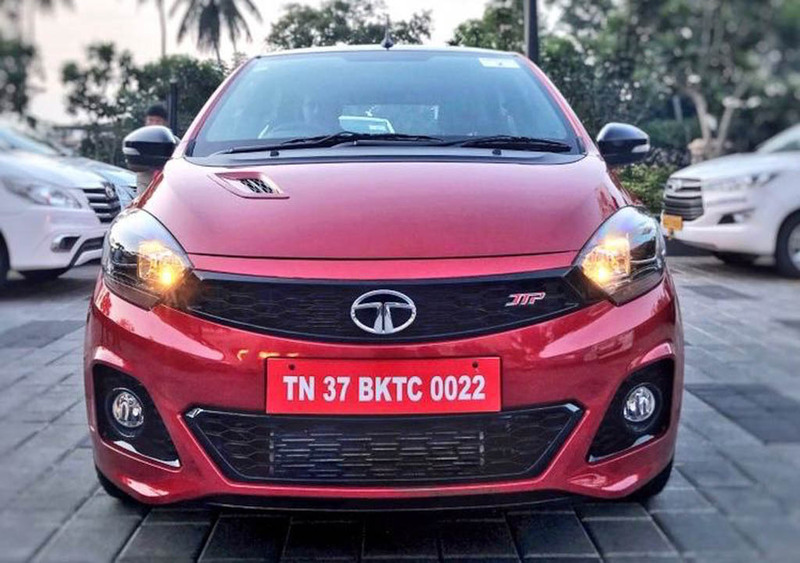 Besides getting tweaks under the hood the Tiago JTP also gets some exterior updates which come in the form of an aggressive front bumper, a large trapezoidal lower grille, projector headlamps, contrast-coloured outside mirrors. There are also plenty of JTP badges spread all across the hatchback. It is the cheapest performance oriented hatchback currently available in the market. 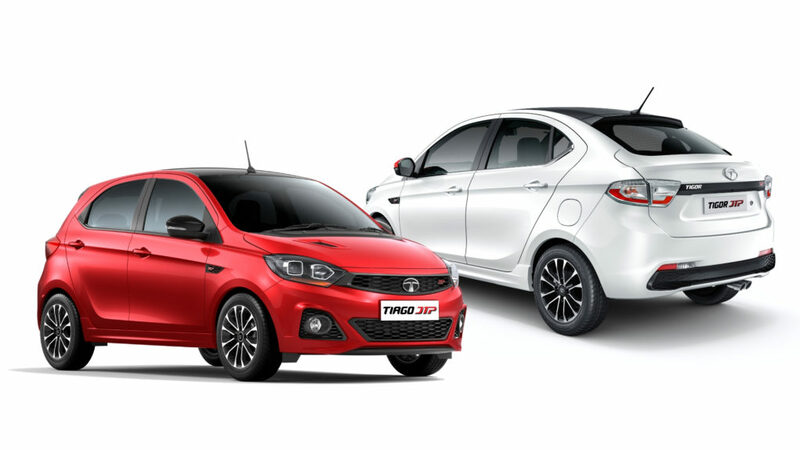 Just like the Tiago hatchback the Tigor JTP too has received the same kind of an exterior treatment. There is a new side skirt, a 15-inch diamond cut alloy wheels wrapped with wider tires (which by the way can also be found in the Tiago JTP hatchback as well). Inside the cabin, the compact sedan gets all black cabin treatment with contrast red stitching on the seat fabric. There are red accents even on AC vents and premium leather-wrapped steering wheel. Moreover, the performance-oriented car also gets aluminium pedal extensions which help in enhancing the sporty appearance. The car also gets ConnectNext infotainment system by Harman. The Tigor JTP too gets the same 1.2 L turbocharged Revotron petrol engine which produces 112 bhp of peak power and 150Nm of peak torque. The engine is paired with a 5-speed manual transmission. Tata Motors claims that the JTP variant of the Tigor can reach 0-100 km/h mark in just 10 seconds. Maruti launched the Baleno RS in India back in the year 2017 after it was showcased for the first time at the 2016 Auto expo. The Baleno RS is powered by an all-new 1.0 Litre Boosterjet engine which produces about 102 PS of peak power and 150 Nm of torque. The engine is paired to a 5-speed gearbox. Maruti claims that the Baleno RS will also deliver 20.1 Km to a litre of fuel efficiency figures. As far as the visual changes are concerned the Baleno RS gets a reworked front and rear bumper which has helped in adding some muscle to the car. There is also a new RS badge positioned at the rear profile. Some other features include projector lamps with DRLs, spoiler and alloy wheels finished in Black. The car is made available with seven exterior colour options. The interior although remains unchanged and looks similar to the standard hatchback. 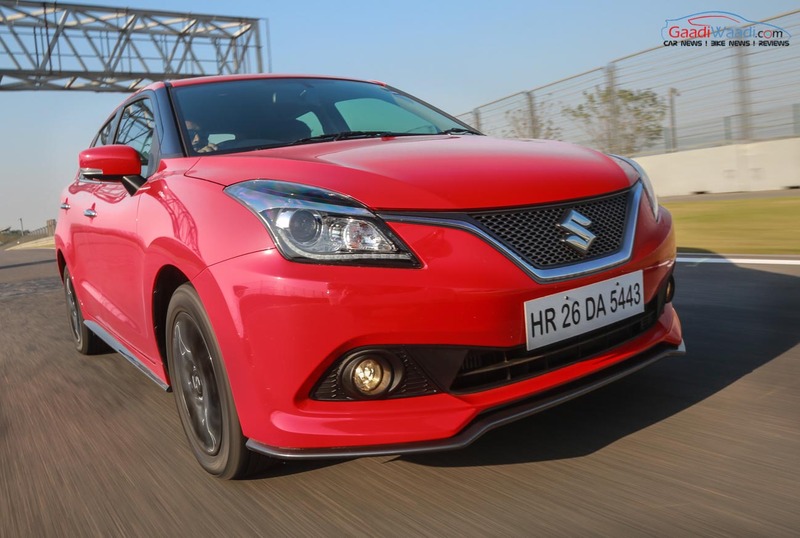 Just like the Baleno the Baleno RS too gets a smart-play infotainment system with navigation. The Volkswagen Polo GT TSI has been here in the Indian market for quite some time now and it surely is one impressive looking hot hatch under 10 Lakh rupees. 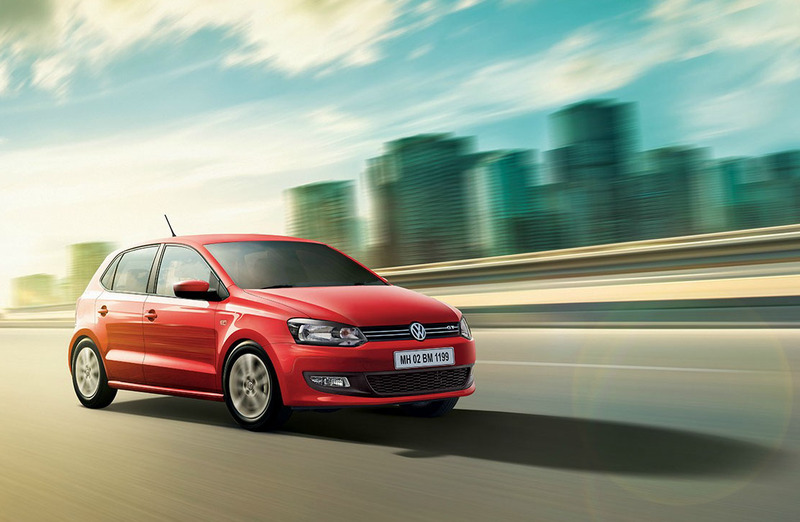 The Polo GT TSI is powered by a 1.2-litre TSI motor which gets both direct injection and turbocharging. The engine is capable of producing about 77 kW of peak power at 5000 RPM and maximum torque of 175 Nm at 1500-4100. The engine is paired with a 7 speed DSG Gearbox. The Volkswagen Polo GT TSI gets GT Chrome front grille, halogen headlamps with smoke effect and 185/60 R15 alloy wheels. 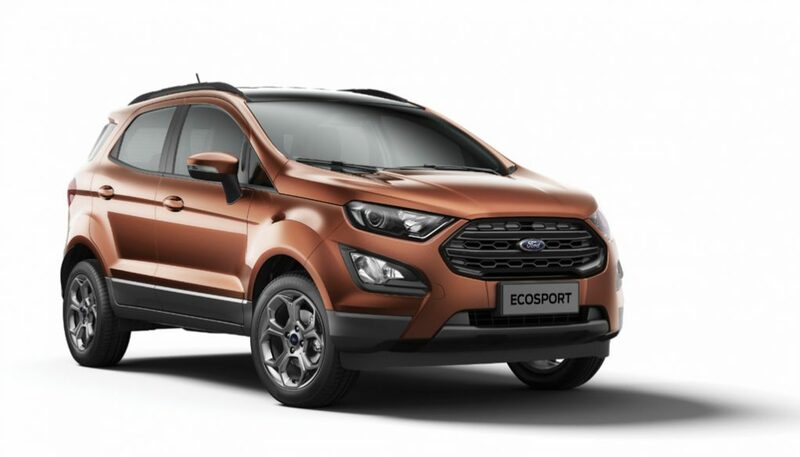 Ford has launched a new variant of their subcompact SUV Ecosport called Ecosport S. The new Ecosport S is available in both petrol and diesel guise and gets plenty of exclusive features like a sunroof, smoked HID headlamps with dark inserts and a blacked out fog lamp bezel. The grille upfront also has been blacked out as well while the 17-inch wheels get a smoke treatment as well. Apart from the exterior the interior to gets a smoked out treatment as well. The seats and the instrument panel gets orange accents on them to keep things fresh. Under the hood, the Ford EcoSport S petrol variant gets 1.0-litre petrol EcoBoost engine, which produces about 123 bhp of peak power and 170 Nm of torque. The diesel variant, on the other hand, gets the 1.5L TDCi diesel motor which delivers around 100 PS of peak power and an impressive fuel economy of 23 Km/L at the same time.